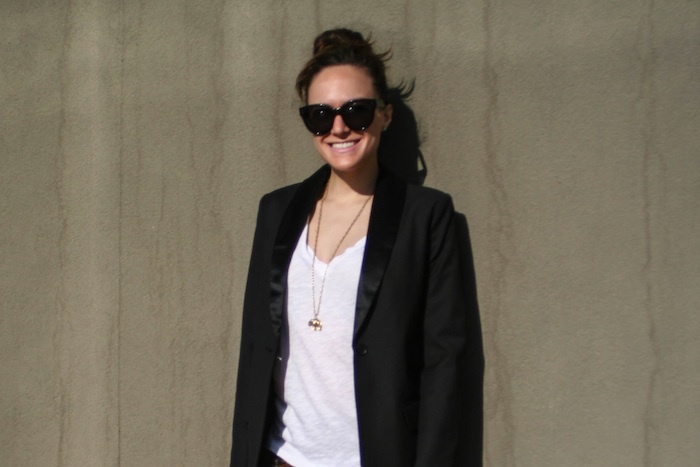 The easiest way to dress up an otherwise simple outfit is to throw on a blazer. Nothing is as transformative to jeans and a tee, or as wearable in nearly any situation. The shiny lapels and loose, comfortable fit of this one has made it my go-to as of late. You can't go wrong with Elizabeth & James. Céline sunglasses, Elizabeth & James blazer (similar), J. Crew tee and necklace (similar), 7FAM jeans (similar), Sam Edelman loafers (similar). I agree a blazer really does dress an outfit up! 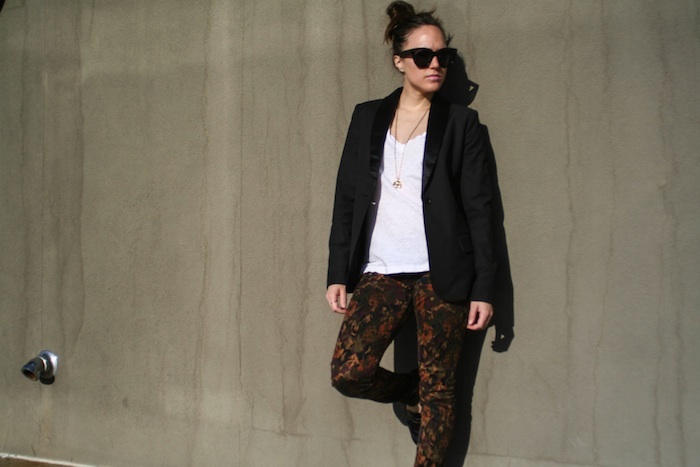 Your blazer is gorgeous and adds so much to the look! Fabulous pants too! So true - I totally do that all the time. In fact, I did that this morning because I didn't want to get all professional today - so threw a blazer over a shirt that is normally reserved for the weekend. And it works - especially since half my office decided it was wear your leggings to work day (as pants to be clear) - now that is pushing it...err going too far!